Bosch offers refrigerators in a variety of sizes and styles to integrate into your kitchen design. From our stylish counter-depth French door refrigerator, to our small, space-friendly 24" refrigerator with bottom freezer, Bosch has a solution for everyone.This counter-depth Side-by-Side refrigerator installs nearly flush in a freestanding cutout, offering uninterrupted stainless steel luxury. 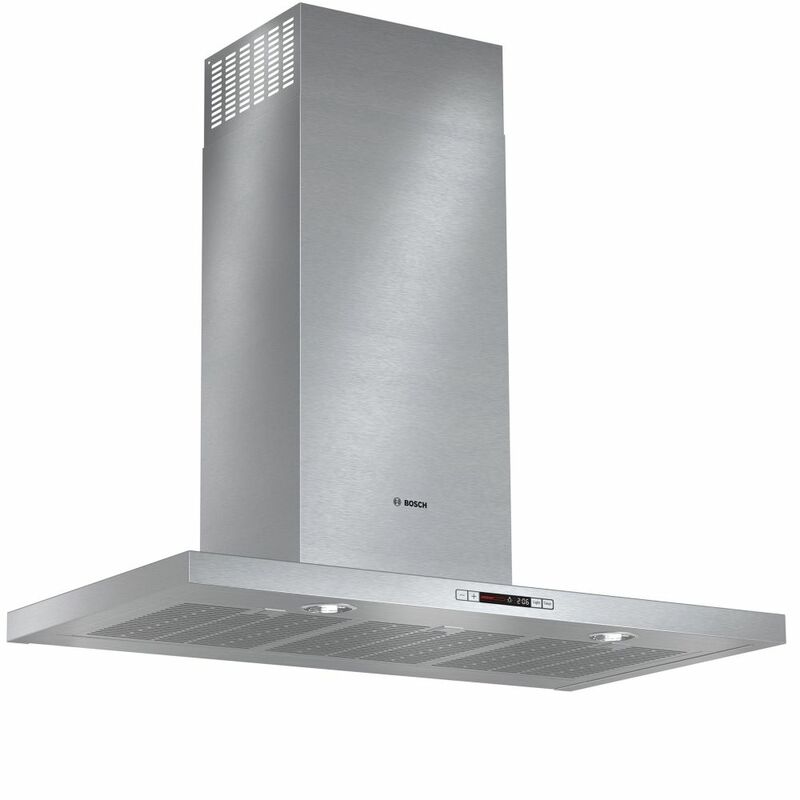 500 Series- 36 inch Box Style Chimney Wall Hood - 600 CFM Sleek, European design that blends with any kitchen. Bosch stainless steel chimney hoods integrate matching user interfaces and design aesthetics to complete the Bosch kitchen suite with sleek and sophisticated styling reminiscent of European design. With 300 and 600 CFM options, beautiful Bosch hoods will quickly clear the air of grease, steam, smoke and odour to keep your home fresh and odour free. 500 Series- 36 inch Box Style Chimney Wall Hood - 600 CFM is rated 4.3 out of 5 by 4. Rated 5 out of 5 by sandytsk from Great Machine The machine is amazing. The third shelf makes it possible to wash way more dishes at the same time. Rated 4 out of 5 by nikunjbr from Powerful & Efficient..! We got this hood fan around month ago and it is working well and powerful hood fan for big size kitchen area..Also it is very silent...!! Rated 5 out of 5 by matureduchess from Fresh Air I am so happy I went with a high quality fan package, it is amazing the air flow it creates.